As towns and cities grow, they need matching infrastructure facilities. However, creating new or additional infrastructure facilities is not easy as these conflict with the existing facilities such as Rail-lines, Roads, Sewer lines, Water lines and Electric cables. 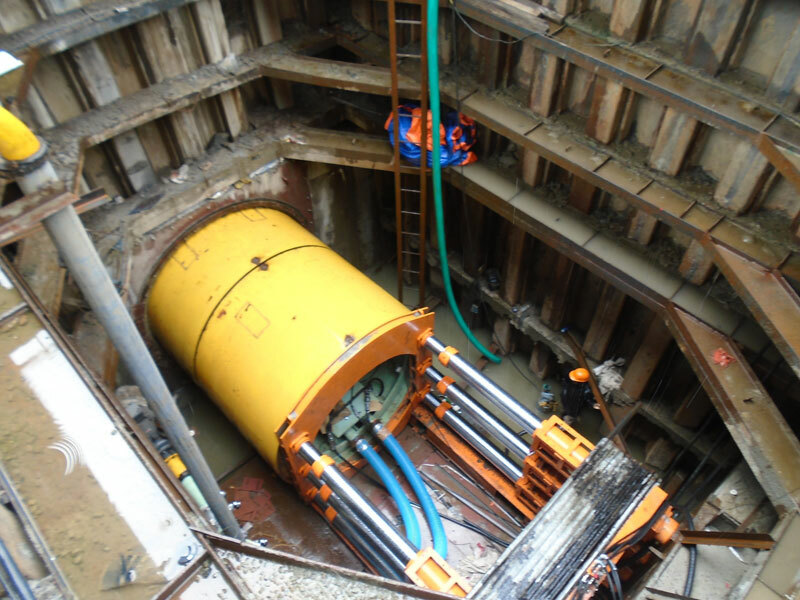 ITD Cem has developed the technologies of Pipe Jacking, Box Jacking and Microtunelling which eliminates the problems that would otherwise be there when new roads, rail lines, etc. are being constructed in busy cities and towns. Use of this unique technology ensures that the normal flow of traffic continues even as new construction activities are in progress. This gives flexibility to town planners and developers to keep on upgrading and improving the infrastructure facilities of growing cities and towns. A large number of such projects have been executed by ITD Cem. 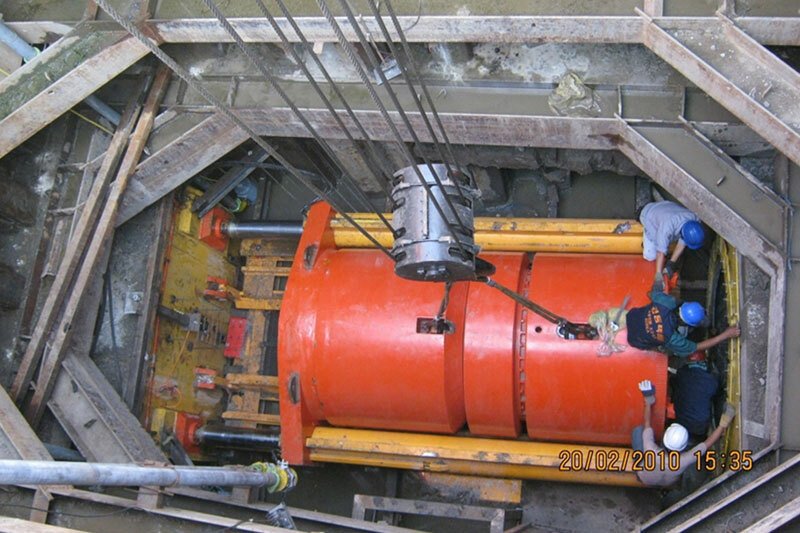 5.1 Km dedicated transmission main from Garden Reach Water Works of KMC to J.L Sarani to augment the water supply of South Kolkata region by Microtunelling mode. 4.05 Km of Trunk Sewer along D.H.Road (NH 117) by Microtunelling mode to improve the efficacy of Sewer Network of South Kolkata region. Alignment passed along Industrial zones, very busy Taratala Road & D.H Road (NH 117), below railway crossings etc. 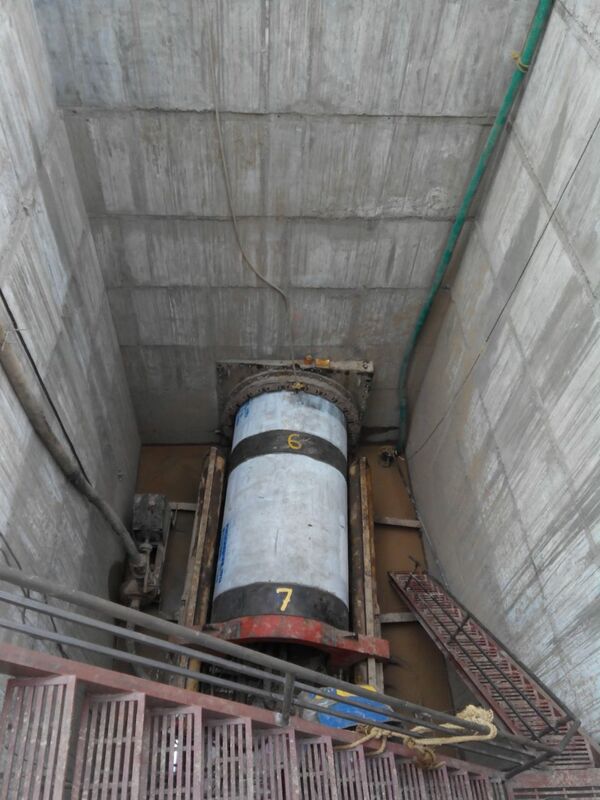 22.5 Km dedicated transmission main from Palta Water Works to Tallah Pumping Station of KMC to augment the water supply of North Kolkata Region. 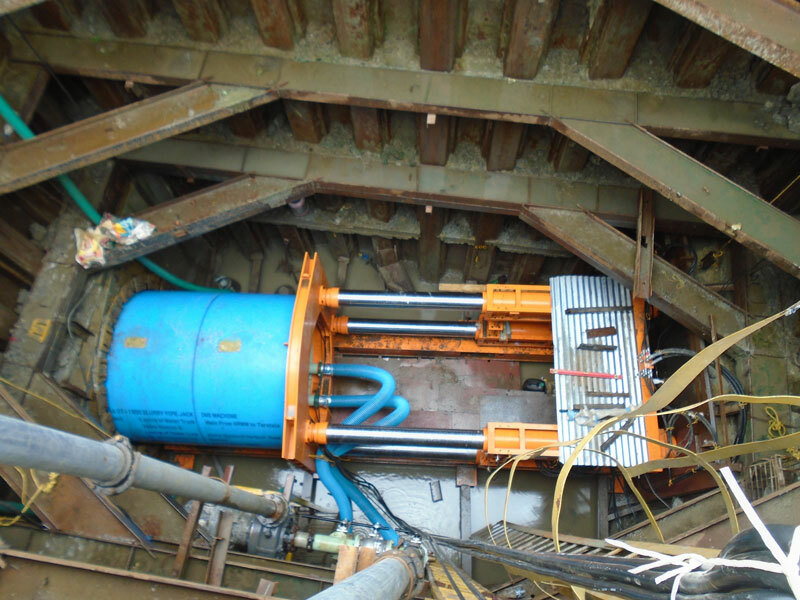 Alignment consisted of 17.5 Km Microtunelling, 4 Km of Open Cut ,1.1 Km of Elevated mode of pipe laying. Alignment passed along Police Premises, Army Establisments, Cantonment Area, Industrial zones, very busy B.T.Road, below high railway embankments etc. 4.85 Km of Trunk Sewer from Gorwa Pumping Station to Shrenik Park by Microtunelling mode to improve the efficacy of Sewer Network of Vadodara City as a primary step towards Smart City, Alignment passed along Industrial zones, very busy R.C Dutt Road etc. 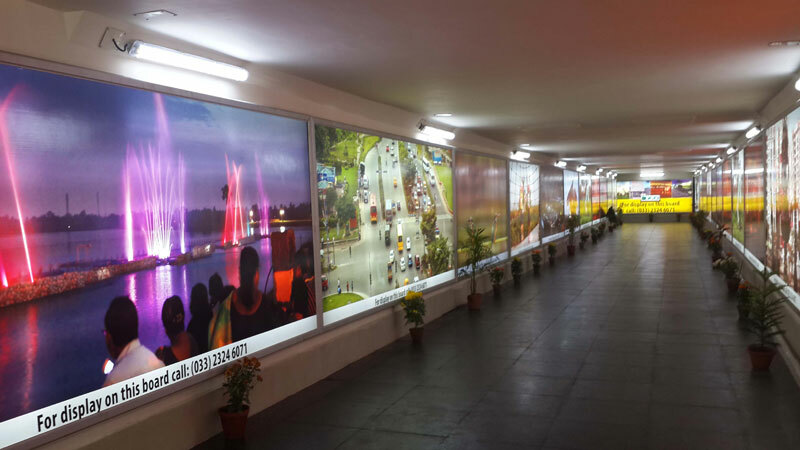 Design and construction of Pedestrian Underpass at Major Arterial Road in AA I, Near DLF IT Park at New Town , Kolkata. Size & length of Subway : 4.0 M x 2.70 M & 33.0 M long. 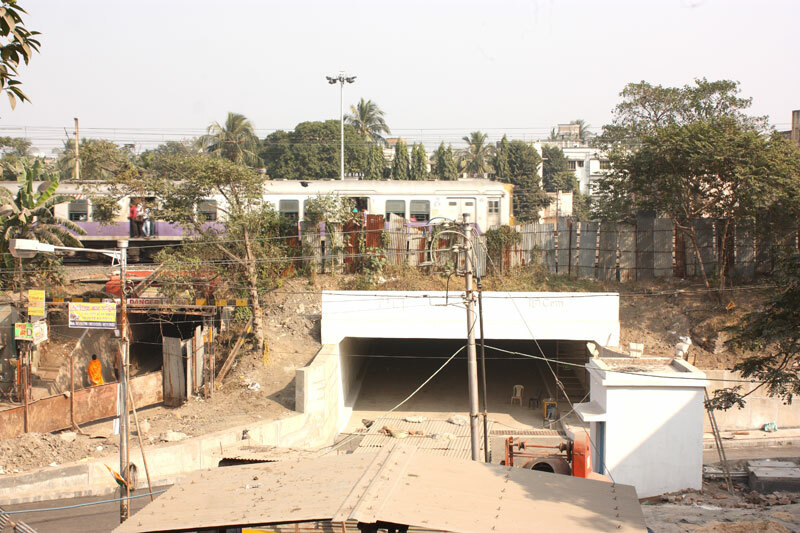 Design & Construction of Underpass at Bediapara Near Dum Dum Junction under Sealdah Ranaghat Main Line of Sealdah Division of Eastern Railway on Turnkey Basis Size of Box 10.5 x 3.8 M and 40 Mtr Long. Construstion of Subway RCC Box 7.3 x 3.00m in lieu of L C No. 11 at Km. 12/12-13 (Jones Road) between Mambalam and Saidapet Stations (39 M long) and in lieu of LC No. 25 at Km 23/9-10 (Dharga Road) between Pallavaram and Chrompet stations (33 M long) by Box Jacking Technique. 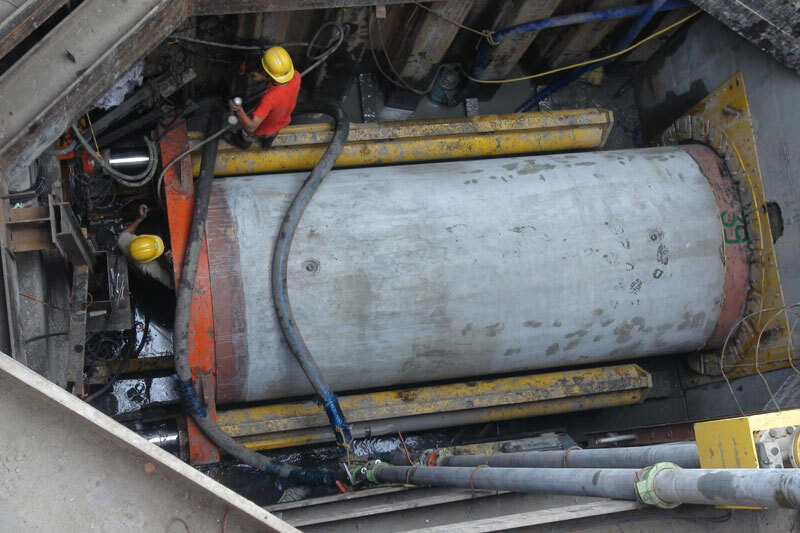 Construction of Canal crossings by RCC Box Pushing at 5 locations and RCC Pipe Pushing at 4 locations. 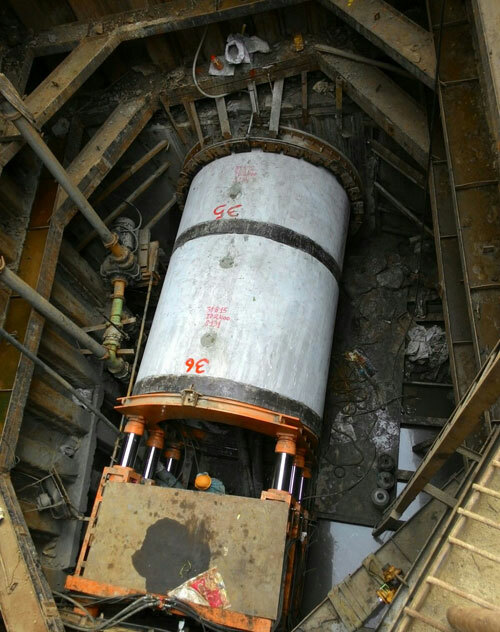 The pushing operation was carried out through hard rock by controlled blasting below running railway tracks. 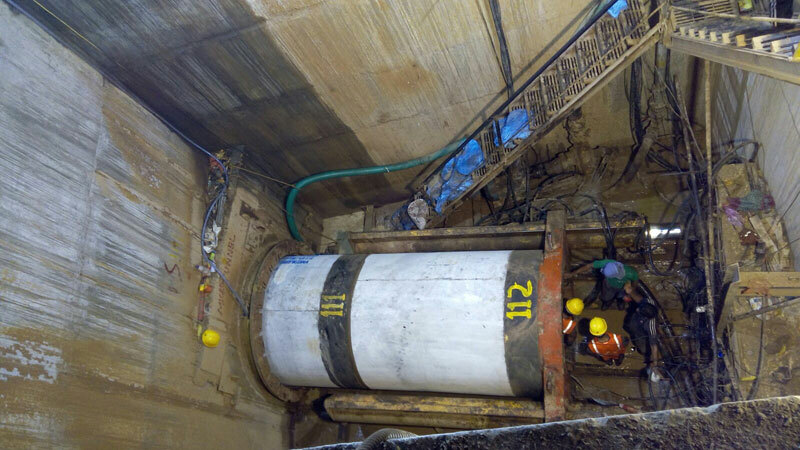 Design and construction of Limited Height Subway by specialised Box pushing Technique at Mankapur ROB at Ch 5+165 on NH 69 in lieu of L C No. 294A on Et.-NGP Section Of C. Rly Size of Box : 5.0M x 2.50M x 57 Mtr Long, Cushion : 1.840M. Construction of Dunlop Interchange in B T Road – Box Pushing of RCC Structure nunder B G Main Line Bridgw No. 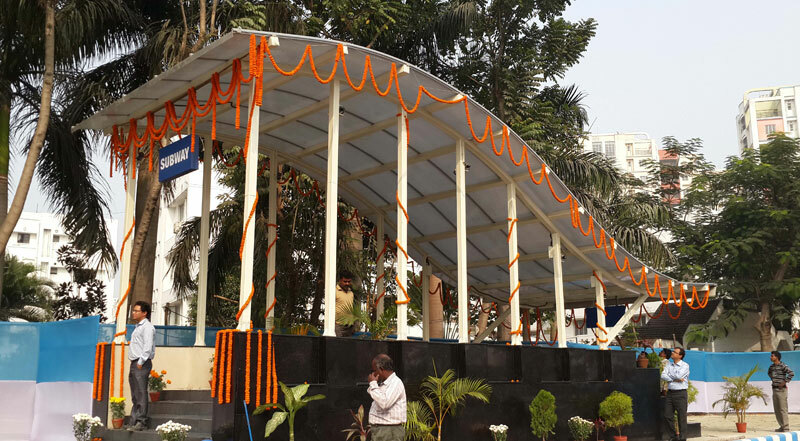 1, Eastern Railway, at Dunlop Kolkata Size of Box : 9.0M x 4.859 M x 26 Mtr. Long, Cushion 2.690M. Construction of underpass at Maithon. 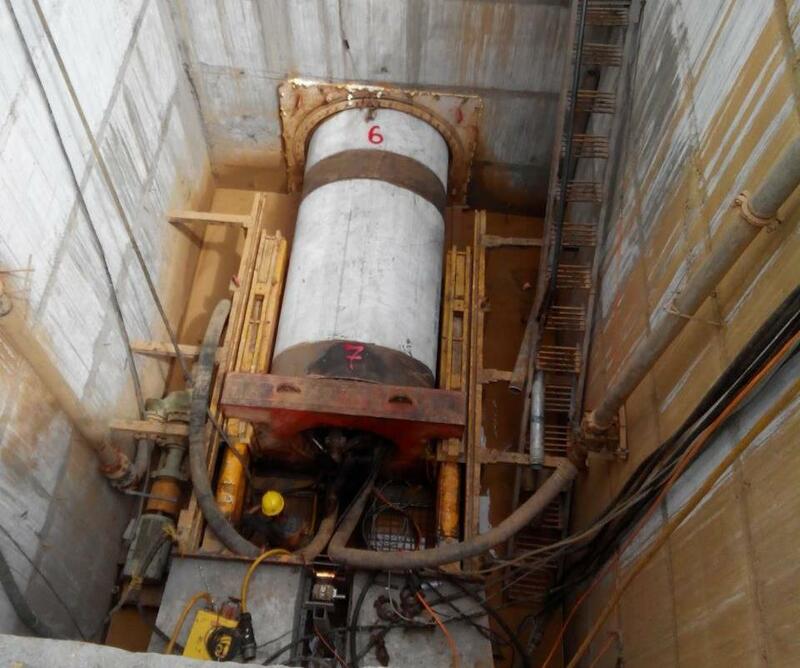 Design and construction of a RCC horizontzl Box opening of I D 6.0M wide and 4.50M high and of approx length 99.8 Mtr by Cut and Cover method at a depth of around 2 Mtr below the existing road at Maithon Power Limited, Jharkhand. 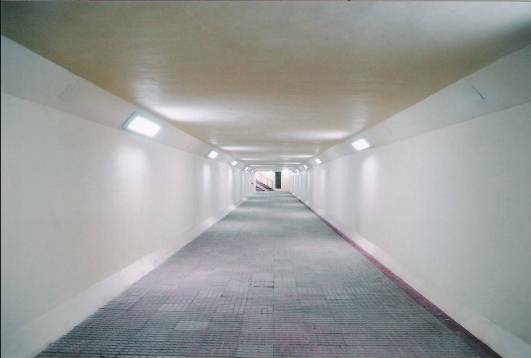 Pedestrian Subway at Belghoria, Agarpara & Sodepur. Construction of Pedestrian Subway by Jack Pushing technique below the Railway track approx size of Box will be 7.2 M x 4.0 M x 33.0 M long at Belghoria and 4.0 M x 3.8 M x 33.0 M long each at Sodepur and Agarpara. The 128 year old arch Lothian Road under Bridge which permitted only a single lane traffic, was always a bottleneck for traffic passing under the railway track and hence it was decided to expand the area thoroughfare. 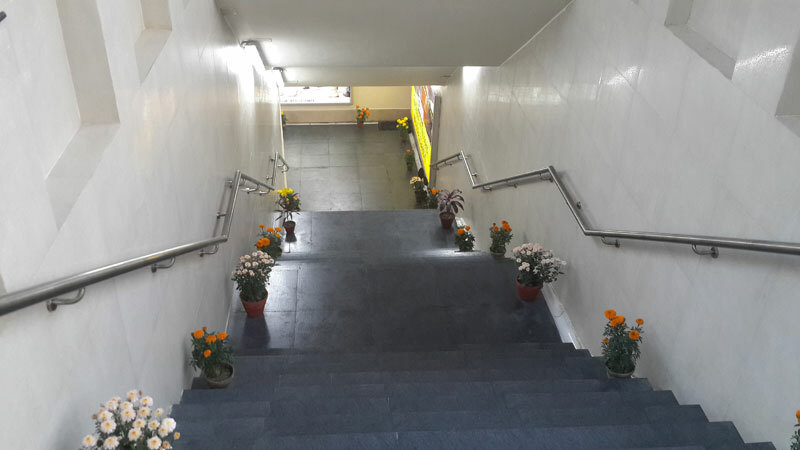 ITD Cem (Then Trafalgar House Construction India Limited) rose to the occasion and installed six numbers box-shaped corridors by Box Jacking Technique, in two phases: 3 corridors were opened up in January 1990 and the balance corridors were opened up in September, 1992. The size of the central box was as large as 17m wide and 7 m high which fully occupied the entire space of the arch. Due to this construction, the busy S P Mukherjee Marg – N S Marg intersection now has a ten-lane underpass ensuring a very smooth flow of traffic. The Howrah Improvement Trust proposed to lay one sewer line across the existing main tracks of South Eastern Railway. The original design envisaged the conventional “Open-cut-Method” which would have necessitated the railway tracks to be kept supported on relieving girders during construction, thus disrupting the railway services. 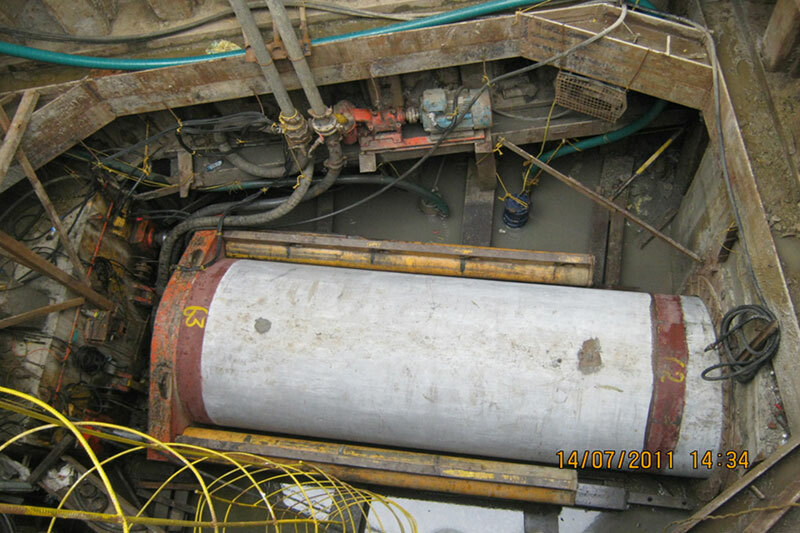 To avoid this, ITD Cem (Then Trafalgar House Construction India Limited) jacked 3m dia pipeline of 40m length through the railway embankment using Pipe Jacking Technique in a record time of 18 days and this pipe functioned as a sewer line . Construction of one Road Under Bridge of size 9.0m x 4.15m – 60m long beside existing old arch bridge near Secunderabad Railway Station. Under Rail Bridge of size 6.20m x 7.055m about 49m long for Heavy Mineral Load traffic by box jacking technique. Construction of four nos. rectangular Road Under Bridge of size (2 nos.) 8.5m x 5.84m of 34m length and (2 nos.) 4m x 4.85m of 35m length by pushing precast boxes through railway embankment taking thrust from thrust bed constructed over filled up soil. 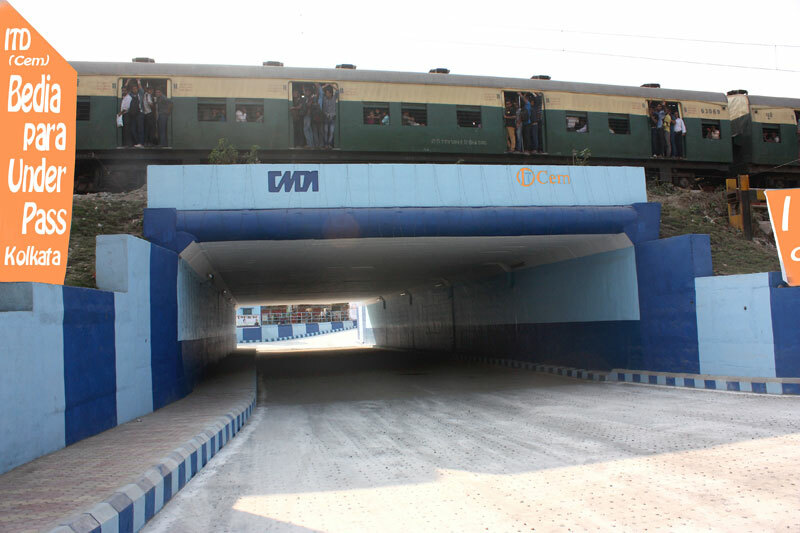 Four Pedestrian Subways constructed at 4 different locations by Box Jacking Technique below busy NH-4 with total length of 157m of box pushing. 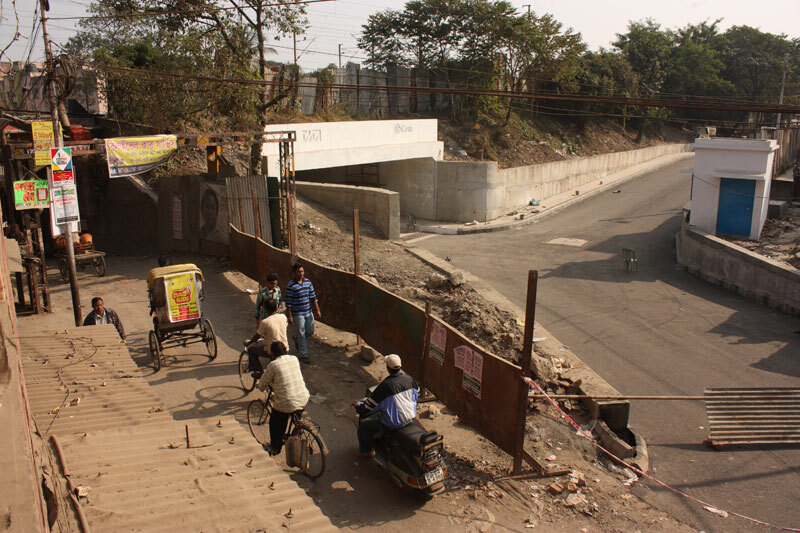 Four Pedestrian Subways constructed at 4 different locations by Box Jacking Technique below busy NH-4 with total length of 194m of Box Pushing. 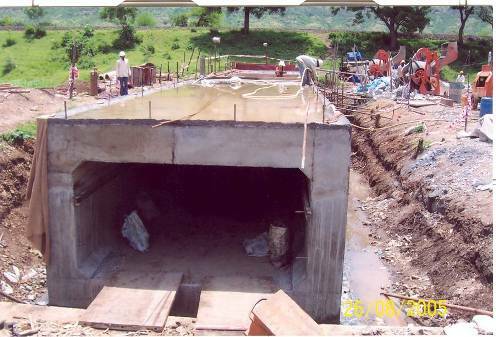 Construction of two Vehicular Underpasses one 13.0m x 6.0m and other 9.5m x 6.0m each of 35m length below Road embankment. Construction of five. 7.5m x 2.0m Twin Box Ducts each of about 50m and 15m x 5.5m Twin Box RUB of 50m length by Box Pushing Technique below running railway tracks. Vehicular Underpass by pushing of precast RCC boxes through already two jacked underpasses below busy Central Railway Suburban tracks. 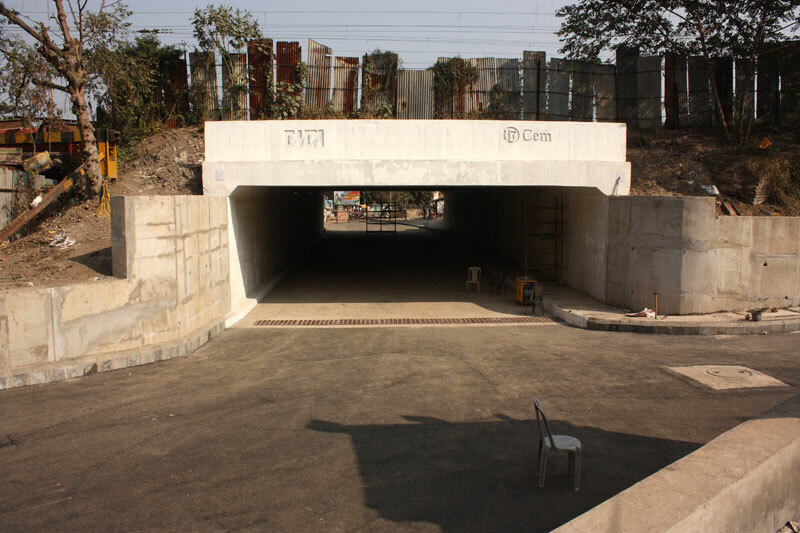 This underpass is one of the first box jacking work done in India by jacking precast RCC units in tiers. 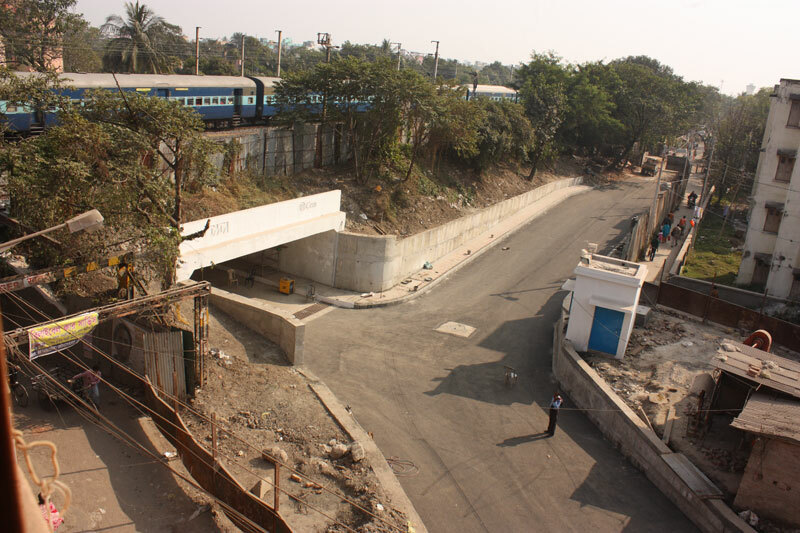 Box Pushing Technique was adopted to form abutments and construction of RCC road slab in between the abutments to construct the Underpass below running railway tracks. Construction of Underpass abutments and pier by jacking precast RCC units in two tiers.